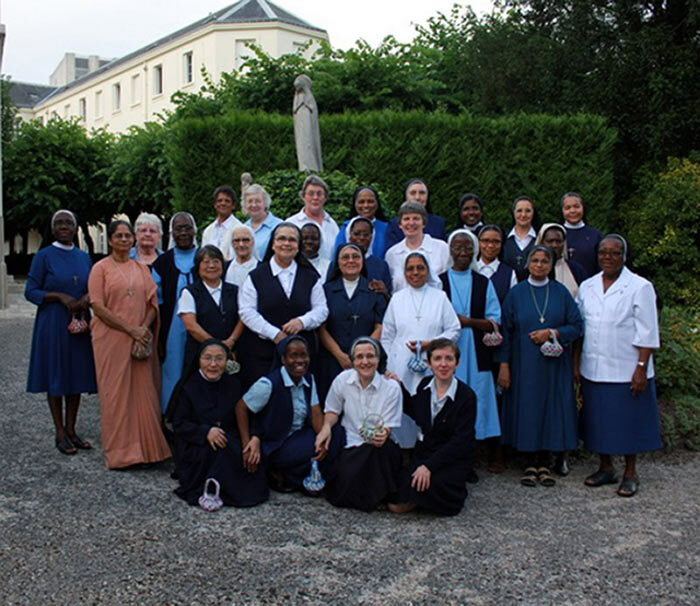 The Sisters of Saint Joseph of Cluny, of different races, nations, languages and cultures, united in the same fidelity to the Will of God who wills the salvation of all, strive to help others to realise the fullness of their being. Following in the footsteps of Anne-Marie Javouhey, the Sisters of St. Joseph of Cluny continue the work she began. With a passion for God and respectful for each person’s human dignity, we share in the mission of the Church. Attentive to the promptings of the Holy Spirit, we offer an education which has ’liberation’ as its goal, helping to develop the whole person. Each of these challenges holds an important place in our lives and in our ministries. You can find more information on each topic in the individual articles.